In 2008 the ‘éist’ Project hosted a Diversity and Equality training of trainers programme in Pavee Point. This programme was developed for the Irish context. The ‘éist’ project based their work on the Anti-Bias Approach developed by Louise Derman-Sparks (1989) influenced also by the Diversity and Equality in Early Childhood Education and Training (DECET) European Network collaborations. The Training of Trainers programme was built on the ‘éist’ training for practitioner’s approach which was developed, piloted and evaluated from 2002 to 2004. The training is also linked to the Diversity and Equality Guidelines for Childcare Providers (OMC, 2006). The Network EDeNn was established in 2008 and the Trainers are core members of EDeNn. 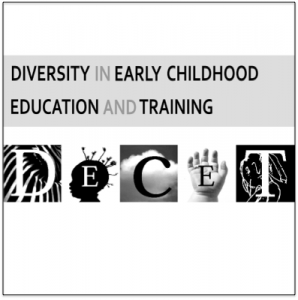 In 2011-2012 the ‘éist’ Diversity and Equality Training was implemented nationally in collaboration with 32 City and County Childcare Committees (led by Clare and Cork City CCC’s) through the Pre-school Education Initiative for Children from Minority Groups in Ireland (DES/Early Years Education Policy Unit 2011/2013). EDeNn trainers delivered this training along with a 15 hour mentoring programme for each service engaged in the training. The evaluation of the Pre-School Education Initiative for Children from Minority Groups is available here. Mary Byrne has worked as Bainisteoir at Naíonra Choill Mhic Thomáisín for the past fifteen years. She also worked in a community based pre-school for over twenty years. Mary is also a part time tutor in Co Waterford VEC for the past ten years, tutoring FETAC level 5 and 6 Childcare modules. I am registered with the Teaching Council. As a practitioner I have always been committed to enhancing the quality of children’s daily experiences and ensuring respect and equality of opportunity for all children. Mary holds a BA (Hons) Early Childhood Studies, Diploma in Montessori Education and a NUIM Certificate in Equality and Diversity for Early Years Professionals. I am presently completing my dissertation for my MA Early Childhood Studies. In 2008 Mary attended the Equality and Diversity Training of Trainers Course: Ar an mBealach in Pavee Point. She has delivered the training at local and national levels. Brid works as an Early Years Specialist with Canavan and Byrne. 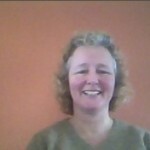 She has worked in the Early Years sector for over 20 years in the role of Early Years Practitioner and Manager with a community pre-school service along with tutoring for the past 5 years. Brid attended the Ar an mBealach Equality and Diversity training with Pavee Point (2008). She has attained a BA (Hons) In Early Childhood Education and Care, City & Guilds 7303 and is currently participating in a MA in Integrated Provision for Children and Families in Pen Green. As part of the EDeNn trainers network Brid delivered the Equality and Diversity FETAC level 5 and 6 training and mentoring at local and national levels (2011-2012). Ann has been working in Early Childhood Care and Education since 1995 as a practitioner, Childcare Manager, and trainer. She currently owns and manages her own Preschool Curious Minds in Castlebar, Co Mayo. Ann has been implementing an Anti- Bias Approach with children and families as part of her practice since 2001. In 2004, Ann attended the ‘èist’ training for providers and in 2008 the Training of Trainers programme accredited by NUI Maynooth, Ar an mBealach Diversity and Equality training. She has delivered that module at FETAC Level 5 and 6 as part of the Pre-school Education Initiative for Children from Minority Groups (2011, 2012). Ann also specializes in Person Doll Training. 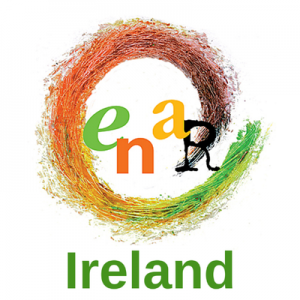 Ann is a founding member of the Equality and Diversity Early Childhood National Network (EDeNn). 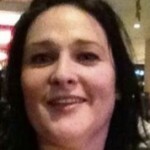 Liesl works as a trainer in Mayo, delivering FETAC Levels 5 and 6 Childcare courses. She became involved with EDeNn as part of the Equality & Diversity training of trainers in 2008 through Pavee Point. She holds the NUI Certificate Ar an mBealach Diversity and Equality in Early years training. Liesl also hold a BSc (Hons) Human Psychology; NUIG Certificate in Adult Training and Education; and is currently studying MA Philosophy and Mental Health. 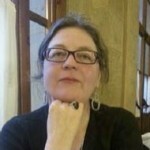 Liesl has delivered the Ar and mBealach training locally and nationally. As part of the Preschool Education Initiative (2011-2012) she also delivered the mentoring programme based on the Diversity and Equality training with providers. Geralyn is a tutor with the City of Limerick Adult Education Service (VEC) delivering Level 5 and 6 modules in Childcare. Prior to this she delivered a Community based Pre-school Service for 3-5 year olds on behalf of Limerick Social Services Council. Geralyn holds a B.A. (Hons) in History, Politics, Sociology and Social Studies from the University of Limerick (Majors: Sociology and Womens Studies) and holds a Post Graduate Diploma in Adult Education and Continous Learning Univer from Mary Immaculate College. During 2008, she completed Ar an mBealach Equality and Diversity for Trainers in Pavee Point and is an EDeNn trainer who deliver the FETAC Equality and Diversity module to childcare practitioners. Geralyn has delivered the training at both local and national levels including mentoring service to implement the approach. Colette has more than 20 years of experience in the Early Childhood Education and Care sector, in national and international contexts. She is currently lecturer in early childhood education and care in ITB, Dublin and Coordinator of EDeNn. She coordinated the National Pre-school Education Initiative for Chiln Ireland. She has worked as a practitioner, dren from Minority Groups (2011-2012). 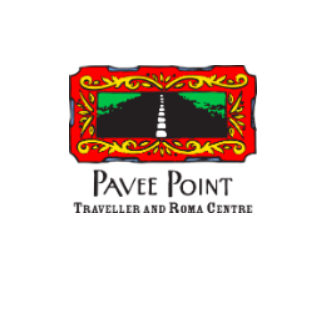 For much of her professional life in Pavee Point she has advocated for the rights and needs of Traveller and Roma children in early childhood care and education. She has also led the debate on the inclusion of a diversity and equality approach in early childhood itrainer, lecturer, advocate and researcher. Colette established the Equality and Diversity in Early Childhood National Network EDeNn (2008) and is a founding member of the European DECET Network. She is author of a number of publications on diversity and equality in early childhood care and education. Colette developed the ‘éist’ training Ar an MBealach (2004 & 2010) and designed and delivered the Diversity and Equality training of trainers programme. 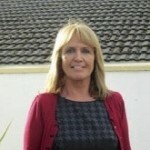 Siobhan Walsh is currently teaching Social Care and Child Care students at the Waterford College of Further Education. She holds a Bachelor of Arts Degree in Social Care and a Master’s Degree in Social Work. Throughout her life Siobhan has always been interested in social justice and fairness in society. This led her to get involved in the Equality and Diversity: Ar an mBealach Training in Pavee Point (2008). 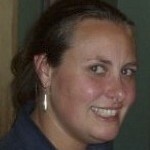 She is the Chair of the EDeNn network and an active diversity and equality trainer. She delivers the FETAC Equality & Diversity module to childcare practitioners at national level. Siobhan believes that the Diversity and Equality Training equips practitioners with the understanding and skills to work with young children and colleagues using an Anti -Bias approach as a cornerstone of their practice. Patsy works as an Early Childhood trainer in Donegal. She previously owned a Montessori preschool and has worked as a Childcare Development Officer in Donegal County Childcare Committee. Patsy has a passion for equality and the celebration of individuals and groups. She became involved with the EDeNn equality & diversity trainers through her engagement with the Ar an mBealach Training in Pavee Point, in 2008. She gained an NUI Certificate Level 8 for Diversity and Equality training in Early Years. She holds a BA (Hons). Early Childhood Studies, Diploma in Montessori Education, NUI Certificate in Adult Training and Continuing Education. 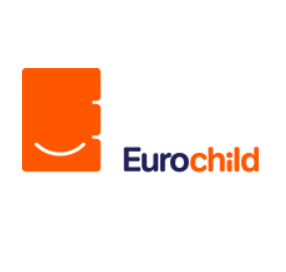 Our vision is to promote respect and support the right of every child and adult to participate as equal and active citizens in early childhood care and education in order to be assured of their rights and to be free from all forms of individual and structural discrimination including, but not limited to, racism, sexism, ableism, classism.